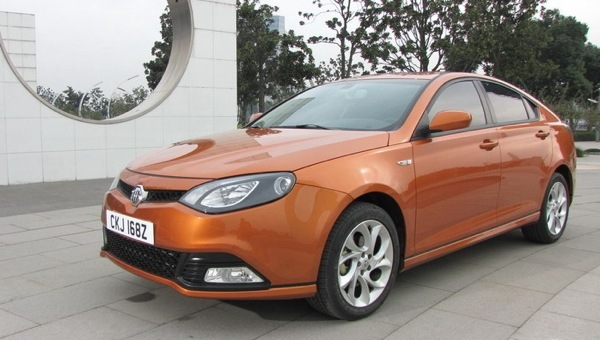 GUANGZHOU (Reuters) SAIC Motor plans to begin manufacturing its new MG6 sedan in the UK at the end of next year, the company said. SAIC Motor became the owner of MG Rover’s 10,000-unit Longbridge plant in Birmingham, central England, after a merger with its much smaller peer Nanjing Automobile Group in late 2007 and the Longbridge factory will serve as a platform for tapping the European market, company executives have said. “We want to make the MG6 in the UK plant at the end of next year,” SAIC Motor President Chen Hong said without providing a sales target. Chen was speaking with reporters ahead of the Guangzhou Auto Show, which opened to the public on Monday. Chen also confirmed media reports about SAIC’s interest in taking over British light commercial vehicle maker LDV. “The reports are true. We are teaming up with a British partner for the deal,” Chen said, adding that LDV would continue to assemble vehicles in Britain using components made in China. SAIC Motor is among a growing number of Chinese automakers, including Geely Automobile Holdings – a preferred bidder for Ford Motor’s Volvo Car unit – which hope to make their name globally. SAIC Motor aims to double the sales of its own-brand cars to 180,000 in 2010, Chen said, as the Chinese automaker seeks to tap the lucrative mid- to higher-end market currently dominated by foreign rivals. As wealth grows in what has now become the world’s biggest auto market, many Chinese carmakers are looking to boost their profile to cater to a generally patriotic population who, if given the choice, would opt for quality local products. “Our own-brand car sales are estimated at 90,000 units this year, way over the 2008 target of 50,000 units. We aim to double it in 2010,” Chen said. In March 2007 SAIC, which operates manufacturing ventures with General Motors Co. and Volkswagen AG, launched its first self-developed car, the Roewe 750, followed by the Roewe 550, popular among China’s young business elite. From now to 2010 SAIC will roll out more own-brand cars, including the MG6, which was unveiled to the press on Sunday. Sales may rise to 500,000 units in the foreseeable future despite the challenge of locally made foreign brands. 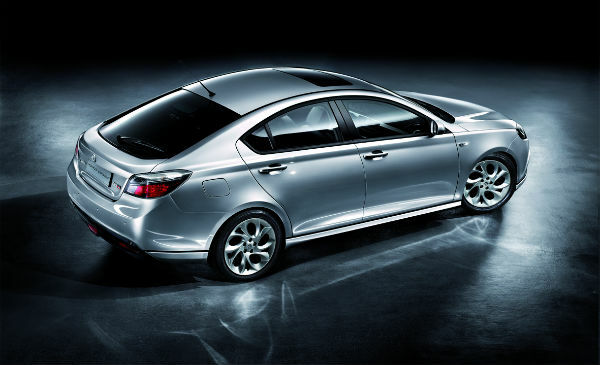 From now to 2010 SAIC will roll out more own-brand cars, including the MG6, which was unveiled to the press on Sunday. Sales may rise to 500,000 units in the foreseeable future despite the challenge of locally made foreign brands. “We are trailing a difficult path and there is still a lot of hard work to do. We would never dare to say that we have achieved success,” Chen said. SAIC Motor currently has about 240 dealers in first- and second-tier cities in China and intends to step up its presence in smaller cities, executives said. The Chinese car market has been a major bright spot amid a global industry downturn thanks to Beijing’s policy incentives, including cuts in its sales tax for small cars, which have bolstered demand. SAIC Motor, a major beneficiary of the incentives, expects to sell over 2.65 million vehicles this year, up sharply from 1.83 million in 2008, Chen said. He expects the Government to continue to support its auto industry, a major growth engine for the country’s economy. MG will be big! The MG6 is just the start. I look forward to the MG6 being built (assembled?) at Longbridge and that might tempt me back to MG ownership. My last car was a ZS and I have good memories and photos of it. Not sure about this car… in some respects it looks very good and it’s superb to see a new ‘MG’… but… somehow I don’t think it will be very good. It’s too derivative and just not special enough to entice Europeans out of their Audis and BMWs. This picture of the MG6 in silver makes it look better but I would prefer an MG version of the retro-modern Rover featured in Sam Skelton’s latest Blog with, perhaps, an MG SV-inspired front end. I have long thought that subcontracting parts manufacture to the Far East was the way forward. You can’t beat the price differential and, even if it is ‘just’ assembly here, decent assembly can really make a car’s reputation (or break it… BL). I can’t realistically imagine that the monocoque wouldn’t be stamped and welded here though – wings and bonnets etc. coming by boat perhaps. I personally like the look of the MG6 and think that it fits in with the market rivals for styling. Hopefully, it will be also be well built and reliable and, if the build quality is as good as the revised TF then, I would certainly consider buying one as I am in the market for something bigger than my ZR. This is all excellent news and, based on recent events, rumours and reports, I think the next 12 months at Longbridge are going to be pretty hectic. 1) a restart of TF production in March 2010 with a new higher-spec model to join the 135, based on the 85th Anniversary edition updates (but with the 1.8 Turbo engine? ), and with the new black and silver MG logo launched this week. 2) the build up to a restart of the old 75/ZT production line modified to take the MG6 in late 2010 (production in Europe is essential to meet import quotas for the model so UK production seems assured now) and using more UK content than the TF (no way are they going to ship thousands of MG6 bodies all round the world so body manufacture will have to be in UK even if components come from China). 3) the introduction of the new logo and branding throughout an expanding Dealer Network during 2010 – the current selection of small outlets selling a few TFs will really have to up their game for the MG6 volumes. 4) the UK launch of MG6 late 2010/early 2011 with some Chinese-built models to start with and UK-built ones to feed in during 2011 (I can’t see how they can get full UK production any quicker than this) and roll out in Europe in 2011/12 supplied from Longbridge. Sports cars, family cars and vans… 2011 and ‘new BL’ is coming back to the British Midlands… but this time with products we can be really proud of! I personally think that the MG brand has been totally prostituted and, whilst the MG6 looks good now, car design moves so fast that, when it comes out at the end of next year, it’s already going to be looking dated. Nice post – I am looking forward to the MG6.